Accepta 2311 is a high-performance boiler water sludge conditioner scientifically formulated for the treatment of boilers of any pressure. Accepta 2311 is a blended liquid treatment based on sodium hexametaphosphate and polymeric sludge conditioners. 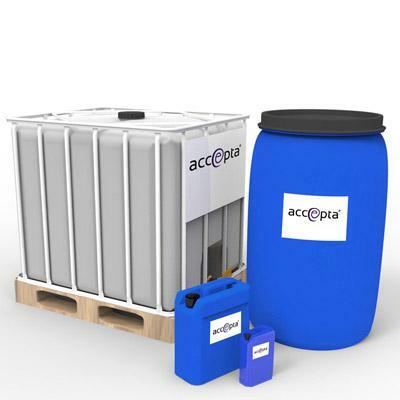 Accepta 2311 is used for boilers of any pressure to precipitate calcium hardness as a mobile phosphate sludge that can be removed by blowdown. Accepta 2311 delays the precipitation of hardness salts in feedlines so it may be injected continuously to the feedwater without the formulation of excessive scale in the pipe line. Dose Accepta 2311 to achieve a phosphate reserve of 3 0-70 ppm which should be maintained in the boiler water. Accepta 2311 can be injected using a dosage pump or a dosage pot as appropriate to the installation. If Accepta 2311 is diluted either softened water or condensate is preferred.